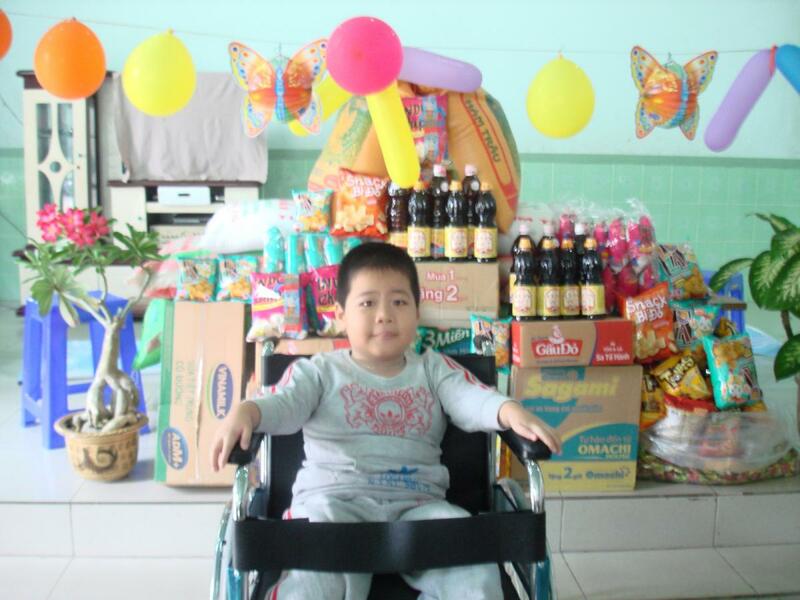 On October 14, 2014 we visited the Thua Sai Home for Disabled Children. Several months ago we were contacted by Chau Nguyen of the USA. 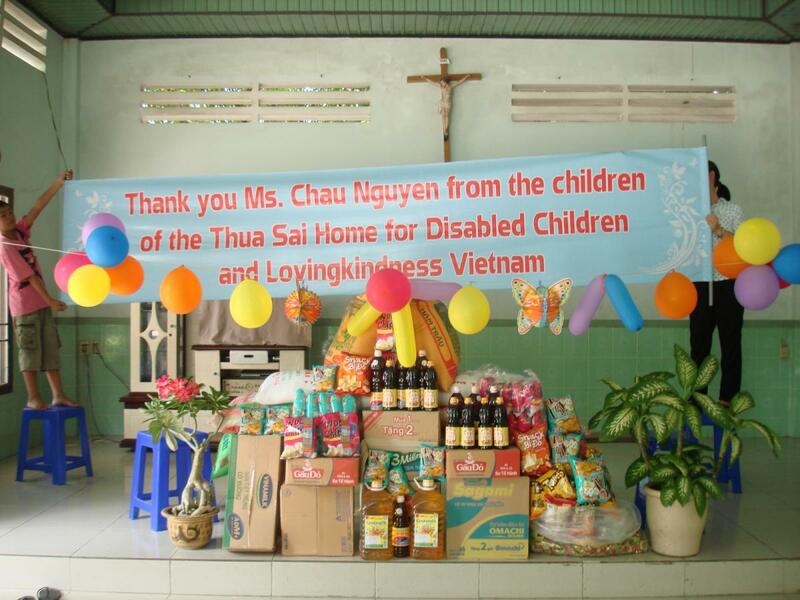 She wished to help the children in Vietnam, and decided to aid Thua Sai as well as the Mai Am Nhan Ai Orphanage. Through her kindness and generosity, we brought an abundance of essential foodstuff and supplies to Thua Sai, including bags of rice, boxes of noodles, cooking oil, fish sauce, and plenty of fun snacks for the children. 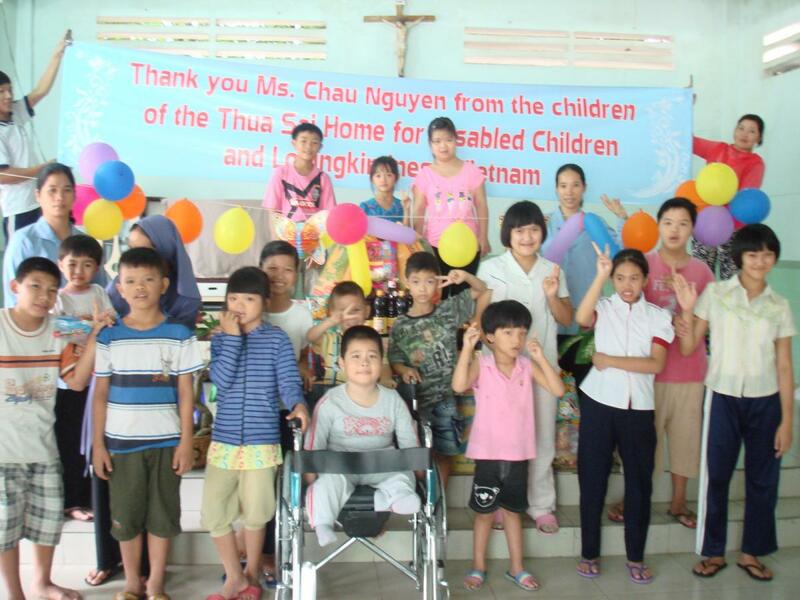 The Thua Sai Home for Disabled Children cares for young ones with cerebral palsy, deaf children, and youngsters with other afflictions whose parents cannot afford to hire dedicated caregivers. The children all come from the community of Cam Ranh, and generally live at Thus Sai five days a week, and return to their homes on the weekend. The nuns of Thua Sai have dedicated their lives to the children, and provide free education, food, and accommodation to any child brought to them. Thank you Chau for this wonderful donation!